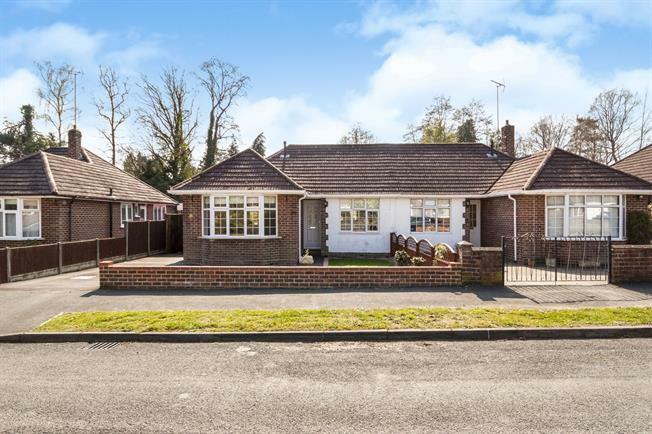 2 Bedroom Semi Detached Bungalow For Sale in Ascot for Guide Price £550,000. A wonderfully presented 2/3 bedroom semi-detached bungalow situated within a short distance of Ascot High Street. The property has recently undergone refurbishment in many areas of the two/three bedrooms, both receptions, kitchen and family bathroom suite. The property has a fantastic south facing landscaped rear garden and further benefits from a decked sun terrace which can be accessed via the garden oom and master bedroom. To the front of the property has a new driveway with ample parking for many cars leading to the garage.